We at BTI have an international network of trainers and partners grown constantly over the last 20 years. The highest quality and professionality of our services is our first priority. Together with our partners we serve national and international projects all over the world in many different languages. Michael Biegner supports us at coaching and elocution. is a successful national and international coach and speaker for more than 13 years. for sales and negotiation elocution. he has working experience in various industries such as banking, automotive and many medium-sized companies. Jurgen Baumhoff (Founder & CEO) supports us in Australia and New Zealand. With 44 years hands-on and international management experience, Jurgen Baumhoff is a capable partner and consultant for economics, management and operations at the international hotel and restaurant industry. Dr. Percival Pachta-Rayhofen supports us in Vienna, Austria. After his law studies he first worked as a lawyer and after that many years as leading manager in the departments investment banking/ capital market business, M&A and participation business. Our longtime partner Mag. Evelyn Poms supports us in Graz, Austria. People Management concerns itself with finding key men and managers for more than a decade. Their main goal is employee retention and their quick integration into the existing company structure an culture, as well as transferring know-how beyond generations. The development deepens the employee retention. The most important things are improving personal strenghts, applying methodic instruments consequently and preparing for management tasks. Finally they attend people, departments and organizations also in relation to their changes. Our longtime partner Mag. Ruth Kabelka supports us in Austria. 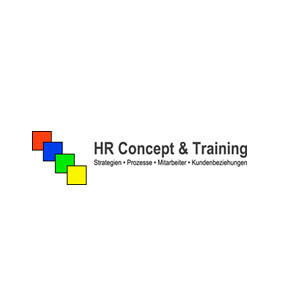 Hanspeter Ruchti from HR CONCEPT & TRAINING GmbH supports us in Switzerland. Their core business is to implement projects and arrangements quickly, constructively and measurable just as their clients wish. Locations at places like Bern and Eastern Switzerland guarantee customer focus. Their consultants and trainers have longtime leadership experience and language competences (D / F / I / E). 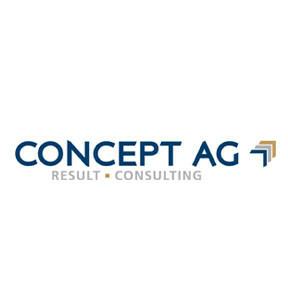 CONCEPT AG has its headquarter in Stuttgart, Germany. For many years they mainly work in the sections operations and turnaround. They consult customers of the following industries: machine construction, automotive, electrical and medical engineering and many more. Furthermore CONCEPT AG intensively works on the developement of modern lean-management-strategies and implement them in medium-sized and big companies. Led by impulses and specific requests from the industry of medium-sized companies, CONCEPT AG built Lean Academy in order to ensure the effect of project works sustainably with aimed and company specific Lean coaching activites. Our longtime partner Gerhard Rinck supports us in sections as project management, teambuilding, softskills, economics and management. Klaus Schramm supports us in the section of computer based simulations. SCHRAMM UNTERNEHMENSBERATUNG GmbH has its headquarters in Göppingen, Germany. They support their customers at developing and implementing strategies. The main focus is on using scenario simulations based on the method System Dynamics, which has been developed at MIT (Massachusetts Institute of Technology). This method is proved pracitcally and especially appropriated in terms of analyzing various strategy options at complex environments and estimating future market and company developments. Jerzy Niewiński suppports our polish customers. Studio Gambera & Partners support us in Italy. Studio Gambera & Partner – they are engaged with funding, corporate planning and corporate leadership. They also provide corporate specific consultance and coaching. Furthermore they coordinate and regulate marketing activities. Prime-Solution – they help companies to manage their will to change and achieve processes of problem solving management. Prime Solution is certified by PSMA (Problem Solving Management Association). Self Power – they help people, companies and products to define their bio-structural personality by using Structogram®. Game Training – they believe that playing is a basic knowledge instrument. They create individual training games and projects for your company.